2nd Lieutenant, later Captain John Burgh Talbot Leighton (1892-1917). Sitter: 2nd Lieutenant, later Captain John Burgh Talbot Leighton (1892-1917). Biog: Entered Scots Guards 1912; Lieutenant, 1914; served Royal Flying Corps 1914-1917; Captain, 1915; Squadron Commander, 1917; temporary Major, 1917; died of wounds received in action 1917. Occasion: The King's Lev�e, 11 March 1912: presented by Colonel E. Guthbert. 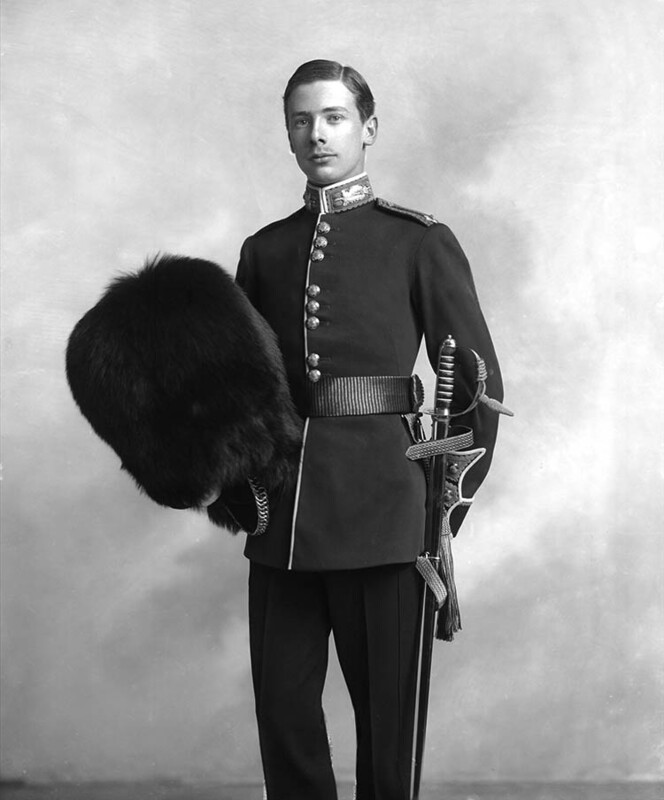 Costume: Full Dress uniform, 2nd Lieutenant, Scots Guards. Evidence of photographer at work: Face retouched. Biog: The Army List, 1912-1917. Occasion: The Times, 12 March 1912, p 12b.